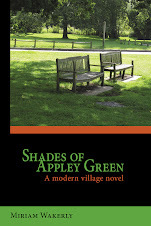 Snippets reflecting life and thoughts of a writer who has published a fourth novel set in an English village. First, Gypsies Stop tHere, then No Gypsies Served, followed by Shades of Appley Green. 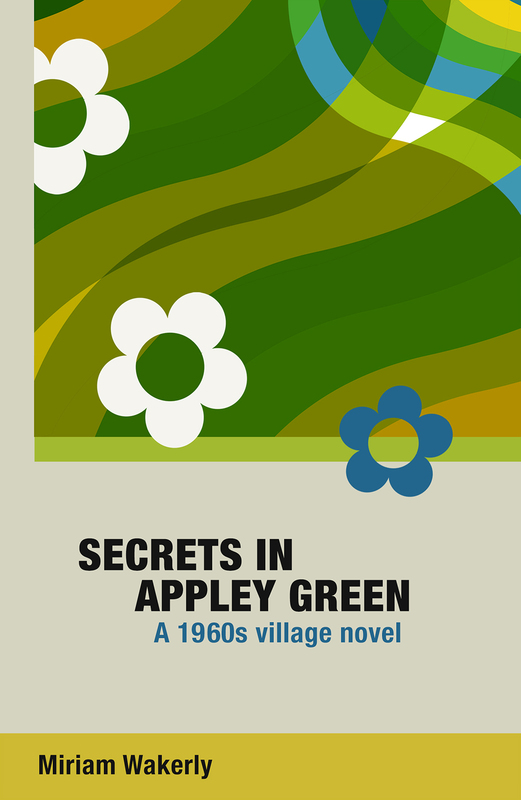 Now it's back to the Sixties with Secrets in Appley Green. Two years have passed since Kay successfully campaigned for the Appley Green Gypsy Site, and four years since her husband was murdered. Life in the village was going so well, until the phone call and letter. Then comes the disastrous site opening. Worst of all, Dunstan, whom she realises is her best friend and ally, is giving her the cold shoulder for some unknown reason. Another question that springs to many people's minds when they see these words on the 'back cover' is 'Why did Dunstan break away from his people?' This is very unusual. I am sorry - you'll just have to read the book to find out! "No Gypsies Served picks up the story of Gypsies Stop tHere two years on, in Appley Green; so it is a sequel but, as it goes back in time, it is also the prequel. 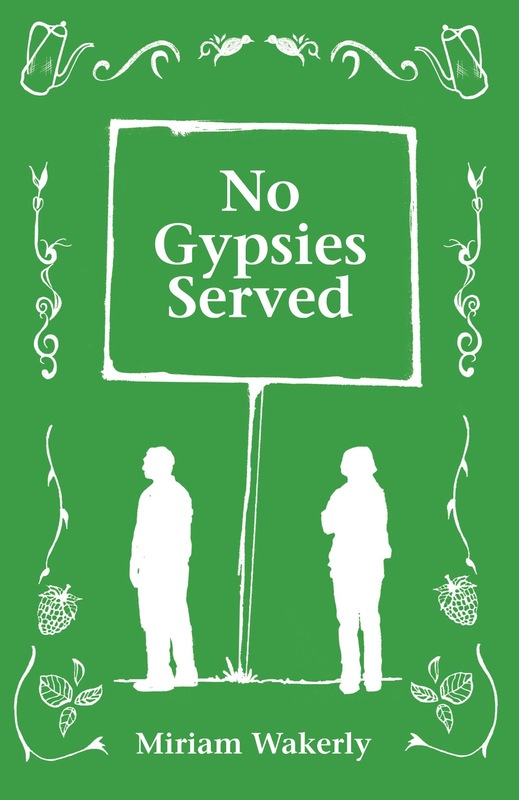 You could read No Gypsies Served first if you prefer because they also stand alone as stories." “ … if I'm going on just how much I was impressed by a book, and how important it is to society at the moment, Wakerly's two novels have to take joint second place.
" … deftly using a variety of plot-devices to fill in the picture whilst maintaining page-turning momentum. 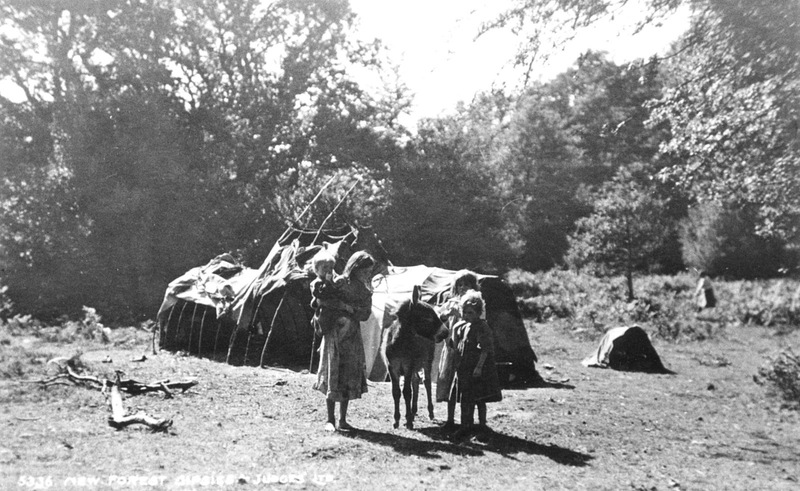 This photo was taken in the New Forest in the late 19th century and shows the kind of bender (tent) that Dunstan and his brother Presley slept in, unusual for the 1950s - 60s but you need to read the book to find out why this happened! If you enjoy reading No Gypsies Served - don't forget to put a review up on Amazon! I shall look out for it. Many thanks. Find out more about this, my third novel. How a 'Ghost' Came Alive! 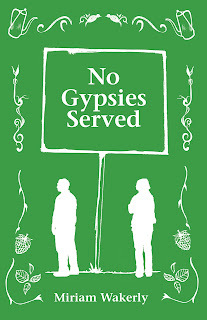 No Gypsies Served FREE on Kindle soon!